Tshipi Borwa, our new manganese mine in South Africa’s Northern Cape, has reached another milestone. The first train has arrived at the mine and is now being loaded with the mine’s first shipment of manganese destined for the Far East. Moss Ngoasheng, chief executive of Safika Holdings, a Johannesburg-based private investment company, has announced it is part of an American and Australian consortium that has acquired Australian e-learner, Learning Seat, from Rupert Murdoch’s Newscorp. Learning Seat is a leading supplier of web-based organisational learning for Australian corporations, government groups, industry associations and commercial training providers. Established in 2000, it owns one of Australia’s largest collections of online courses, workplace compliance training and e-learning resources. Safika’s Australian arm, Winsaf, is a joint venture private equity firm between Australia’s Wingate Group and Safika. Winsaf partnered with global private equity firm, The Riverside Company, to acquire Learning Seat. Ngoasheng is a director of both Wingate and Winsaf. “We are delighted with the acquisition of Australia’s premier e-learning institute; it is our intention to bring Learning Seat to South Africa and other African countries in due course,” said Ngoasheng. “There is potential for considerable growth in South Africa and elsewhere in Africa for e-learning. Learning Seat is in the forefront of the e-learning revolution that is taking place in education; the knowledge and expertise it brings can be very beneficial for Africa. 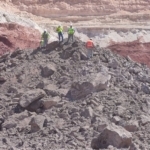 Tshipi é Ntle’s Tshipi Borwa mine’s first manganese ore.
Tshipi é Ntle’s Tshipi Borwa mine in South Africa’s Northern Cape has mined its first manganese ore. 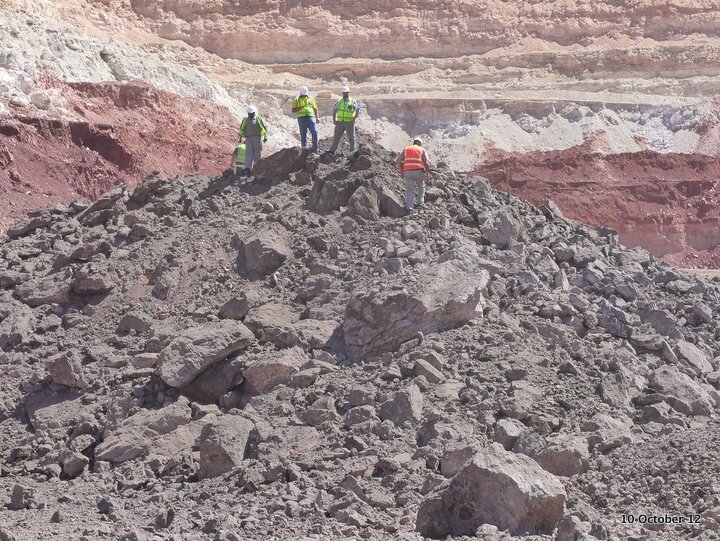 It took 11 months of continuous 24 hour-a-day operations to shift the waste rock overlaying Tshipi’s ore resources. 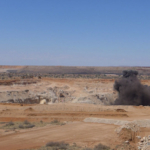 Tshipi blasted its first ore on the 10 October, several weeks earlier than planned. Ore loading commenced within hours. https://safika.co.za/assets/uploads/21-08.jpg 541 720 Jef https://safika.co.za/assets/uploads/safika-logo.svg Jef2012-10-29 11:23:502018-09-28 13:09:11Tshipi é Ntle’s Tshipi Borwa mine's first manganese ore. The board of Safika regrets to announce the sudden death of their long-time colleague Emily Soomane who died of a stroke on Friday. Emily, 48, had worked with Safika since 1999 first as a tea lady then as a receptionist and accounts clerk. Emily is survived by her husband Steven, daughters, Musa, 30 and Lerato, 22, her son Karabo 15, and grandchild, Amahle, six. She will be buried at her home in Vosloosrus on Saturday September 29, 2012 at 11.00. JOHANNESBURG (miningweekly.com) – Transnet is compiling the first-ever distributed power train for manganese, made up of 208 wagons. The train will be loaded at the newly completed rail siding of black-controlled emerging manganese miner Tshipi é Ntle’s new project, near Kathu, in the Northern Cape. “It’s the train of the future,” Tshipi é Ntle CEO Finn Behnken told Mining Weekly Online on the sidelines of last week’s Metal Bulletin Events’ fifth Ferro-Alloy conference in Johannesburg. Transnet Freight Rail has opted to compile the train to increase the volumes of manganese exports from Port Elizabeth and ultimately Coega. “That train will be compiled at our railway siding,” said Behnken. Struggle veteran Saki Macozoma is chairperson of Tshipi é Ntle, in which the black economically empowered Ntsimbintle Mining owns 50.1% and the ASX-listed and Pallinghurst-linked Jupiter Mines owns 49.9%. Pallinghurst is headed by mining luminary Brian Gilbertson. The distributed power train makes use of the same technology that Transnet deploys down the iron-ore railway line from Sishen to Saldanha, on which 342-wagon trains travel. Typically, the trains on the manganese general freight line to Port Elizabeth have been shorter, predominantly consisting of 104 wagons. Transnet is poised to do the once-off trial run with a train made up of two 104-wagon sets with locomotives at the front and rear. The locomotives communicate by radio signal with one drive-control unit managing the power. Although the long train will be loaded with ore, it will not be Tshipi’s ore, the first of which is only scheduled to be available from the company’s Tshipi Borwa openpit project towards the end of 2012. This article was published on www.miningweekly.com. Tshipi é Ntle Manganese Mining (PTY) Ltd., a company in which Safika has a major stake has won a conservation award for its work in protecting endangered secretarybirds. 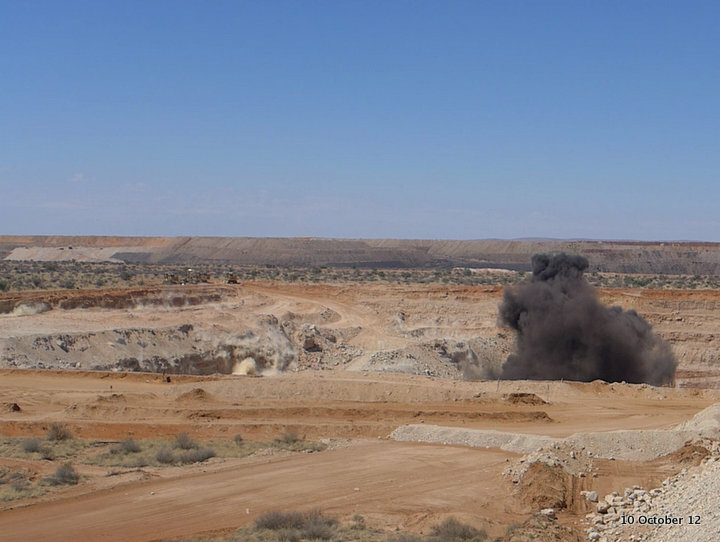 Tshipi is creating a new manganese mine in a remote corner of the Northern Cape. Tshipi won the Northern Cape Raptor Conservation Award for 2012 after it partnered with the Endangered Wildlife Trust to monitor the life and habits of a fledgling secretarybird. The secretarybird was fitted with a specially designed radio harness that allows scientists to monitor its movements as it travels around the Northern Cape. Sagittarius serpentarius, as scientists like to call the secretarybird, is one of South Africa’s most iconic creatures; a secretarybird is even featured on the country’s coat of arms. Secretarybirds were once a common sight stalking through the South African bush but their numbers are plummeting and this year has been listed as “near threatened” in South Africa and “globally vulnerable by the International Red Data List of Threatened Species.